Pyruvate dehydrogenase kinase (PDK) through phosphates pyruvate complex (PDC), negatively regulates the activity of PDC, PDK inhibits the oxidative decarboxylation of pruvate, plays an im-portant role in regulating intermediary metabolism. The pyruvate dehydrogenase kinase gene of Hevea brasiliensis, HbPDK, its coding region is 1110 bp and encodes 369 amino acids. HbPDK is mainly expressed in leaves, latex and flowers. The expression of HbPDK didn’t change much in dif-ferent leaf development. After Ethrel treatment, the expression of HbPDK in latex reduced slightly. However, HbPDK reduced significantly after tapping in virgin trees, it was down-regulated about 5 folds. HbPDK is negatively correlated with the increasing yield of latex due to tapping, it produces an effect on the latex production through regulating the generation of acetyl coenzyme A. The Trx tag of pET32a promoted the soluble expression of HbPDK in E. coli, the recombinant protein of HbPDK was purified by nickel-nitrilotriacetic acid chelate chromatography; the purification of pu-rified recombinant protein was over 90%. Bowker-Kinley, M. and Popov, K.M. (1999) Evidence That Pyruvate Dehydrogenase Kinase Belongs to the ATPase/Kinase Super-family. The Biochemical Journal, 344, 47-53. Tovar-Mendez, A., Miernyk, J.A. and Randall, D.D. (2003) Regulation of Pyruvate Dehydrogenase Complex Activity in Plant Cells. European Journal of Biochemistry, 270, 1043-1049. Tovar-Mendez, A., Miernyk, J.A. and Randall, D.D. (2002) Histidine Mutagenesis of Arabidopsis thaliana Pyruvate Dehydrogenase Kinase. European Journal of Biochemistry, 269, 2601-2606. Lee, I.K. (2014) The Role of Pyruvate Dehydrogenase Kinase in Diabetes and Obesity. Diabetes & Metabolism Journal, 38, 181-186. Thelen, J.J., Miernyk, J.A. and Randall, D.D. (2000) Pyruvate Dehydrogenase Kinase from Arabidopsis thaliana: A Protein Histidine Kinase That Phos-phorylates Serine Residues. The Biochemical Journal, 349, 195-201. Li, R.J., Hu, Z.Y., Zhang, H.S., Zhan, G.M., Wang, H.Z. and Hua, W. (2011) Cloning and Functions Analysis of a Pyruvate Dehydrogenase Kinase in Brassica napus. Plant Cell Reports, 30, 1533-1540. Thelen, J.J., Muszynski, M.G., Miernyk, J.A. and Randall, D.D. (1998) Mo-lecular Analysis of Two Pyruvate Dehydrogenase Kinases from Maize. The Journal of Biological Chemistry, 273, 26618-26623. Jan, A., Nakamura, H., Handa, H., Ichikawa, H., Matsumoto, H. and Komatsu, S. (2006) Gibberellin Regulates Mitochondrial Pyruvate Dehydrogenase Activity in Rice. Plant & Cell Physiology, 47, 244-253. Marillia, E.F., Micallef, B.J., Micallef, M., Weninger, A., Pedersen, K.K., Zou, J. and Taylor, D.C. (2003) Biochemical and Physiological Studies of Arabidopsis thaliana Transgenic Lines with Repressed Expression of the Mitochondrial Pyruvate Dehydrogenase Kinase. Journal of Experimental Botany, 54, 259-270. Zou, J., Qi, Q., Katavic, V., Marillia, E.F. and Taylor, D.C. (1999) Effects of Antisense Repression of an Arabidopsis thaliana Pyruvate Dehydrogenase Kinase cDNA on Plant Development. Plant Molecular Biology, 41, 837-849. 刘卫平, 王敏杰, 韩玉珍, 赵德刚. (2002) 天然橡胶的生物合成机制[J]. 植物生理学通讯, 2002, 38(4): 382-388. Tang, C., Qi, J., Li, H., Zhang, C. and Wang, Y. (2007) A Convenient and Efficient Pro-tocol for Isolating High-Quality RNA from Latex of Hevea brasiliensis (Para Rubber Tree). Journal of Biochemical and Biophysical Methods, 70, 749-754. Kumar, S., Stecher, G. and Tamura, K. (2016) MEGA7: Molecular Evolutionary Genetics Analysis Version 7.0 for Bigger Datasets. Molecular Biology and Evolution, 33, 1870-1874. 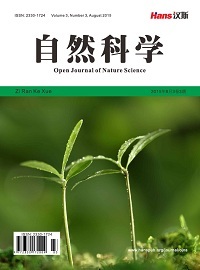 Li, H., Qin, Y., Xiao, X. and Tang, C. (2011) Screening of Valid Reference Genes for Real-Time RT-PCR Data Normalization in Hevea brasiliensis and Expression Validation of a Sucrose Transporter Gene HbSUT3. Plant Science, 181, 132-139. 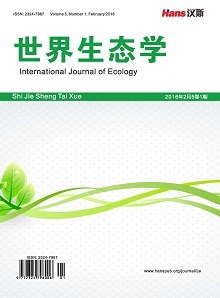 Long, X., He, B., Gao, X., Qin, Y., Yang, J., Fang, Y., Qi, J. and Tang, C. (2015) Validation of Reference Genes for Quantitative Real-Time PCR during Latex Regeneration in Rubber Tree. Gene, 563, 190-195. Emanuelsson, O., Brunak, S., von Heijne, G. and Nielsen, H. (2007) Locating Proteins in the Cell Using TargetP, SignalP and Related Tools. Nature Protocols, 2, 953-971. Claros, M.G. and Vincens, P. (1996) Computational Method to Predict Mitochondrially Imported Proteins and Their Targeting Sequences. European Journal of Biochemistry, 241, 779-786.